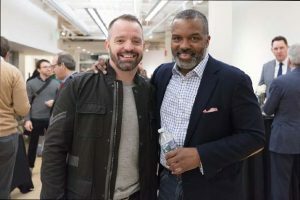 SHIFT Ventures and the Conscious Venture Lab announced six companies will be participating in its accelerator for socially conscious startups, including two startups relocating from Atlanta. The accelerator also announced that it had secured financing from the Stephen and Renee Bisciotti Foundation, joining Plank Industries as an investor and partner. Participants in the accelerator go through a four-month curriculum focused on “building companies that matter” and an equity investment of $100,000. Applicants for the cohort were asked to find ways to address urban stress factors using big data, connected devices, blockchain, open systems or other technological advances. CoAuthor: An iPad-based platform designed to coach parents, teachers and other caregivers in using early-childhood education science and techniques, as a guide to learning and development of socio-emotional and critical-thinking skills. Core Staffing Cooperative: A unique take on temporary staffing that uses dignified work, occupational-focused education, and shared company ownership to achieve the entrepreneurial and educational career goals of its members, while delivering affordable talent to its clients and local businesses. Optikal Care: An affordable subscription box that delivers contact care bundles to the user’s doorstep, with monthly payment options to help everyone afford quality eye care. Optikal Care seeks to reduce high upfront costs and other factors that can cause poor maintenance and delayed replacement of lenses, increasing the risk of injuries and disease. Ortus Academy: A social-impact company using competitive game-playing to stimulate interest in financial literacy and to track progress, as reflected by changes in the players’ choices in later lessons. The goal is to prepare underserved middle school and high school students for their financial future by building healthy relationships and habits around money. R3Score Technologies: This web-based tool makes it easier for banking professionals to assess the riskiness and financial capacity of customers with criminal records – a market of about 70 million people who might otherwise be deemed ineligible for mainstream financial products. R3Score collects and integrates data about the whole person to use the benefit of context in helping returning citizens transform their lives. TruDiary: An interactive health app that uses blockchain technology to allow women to create a smart health diary, saving time and improving diagnoses through a truer, more complete snapshot of relevant patient data. TruDiary gives the doctor a storyboard of relevant data and allows for peer-to-peer mentoring via the patient’s private blockchain.